The American Civil War coincided with the Victorian era, one of the most morally repressive eras in history for women. Everything from a woman’s dress to her education were tightly constricted by societal mores that governed her every action. These Victorian values that women of the Civil War era abided by were certainly not set aside with the coming of war; a woman’s contribution to the war effort was supposed to begin – and usually end – at home. However, as the war dragged on and more and more men left their jobs, homes, and lives for the war effort, women found themselves taking over farms, working in shops, teaching in schools, and otherwise taking over for the men who’d gone to war. Yet, many women refused to limit their assistance to their country to what could be accomplished close to home. These became nurses, worked to raise supplies for their troops or even worked in armories. A number of these women supported their country in a more dangerous – and scandalous way — they became spies. Espionage was considered a dishonorable pursuit for a man during the Civil War era. For a woman, spying was tantamount to prostitution. 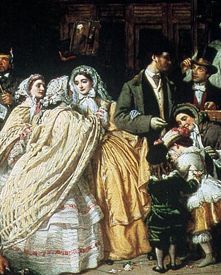 However, as the war escalated, women of both the North and South flaunted the Victorian morality of the time to provide their country the intelligence it needed to make tactical and practical decisions. Easily, the most infamous spy of the Civil War or the 19th Century, Belle Boyd. 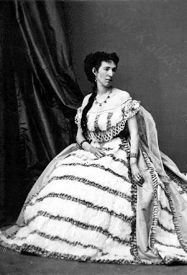 A Confederate spy, “La Belle Rebelle,” as she came to be known, Boyd’s espionage activities during the war – not to mention her ability to escape sticky situations unscathed – brought her fame and a modicum of fortune both during and after the war. Born Marie Isabella Boyd, Belle Boyd began spying for the Confederacy when Union troops invaded her Martinsburg, Virginia home in 1861. When one of the Federal soldiers manhandled her mother, Boyd shot and killed him. Exonerated in the soldier’s death, an emboldened Boyd managed to befriend the Union soldiers left to guard her, and used her slave, Eliza, to pass information confided in her by the soldiers along to Confederate officers. Boyd was caught at her first attempt at spying – and threatened with death – but she did not stop her activities; rather, she vowed to find a better way. Boyd’s chance presented itself at her father’s hotel. She eavesdropped on conversations the Union officers staying at the hotel conducted about military affairs, and learned enough to inform General Stonewall Jackson about their regiment and activities. This time, Boyd delivered her intelligence firsthand, moving through Union lines, and reportedly drawing close enough to the action to return with bullet holes in her skirts. The information she provided allowed the Confederate army to advance on Federal troops at Fort Royal. However, Boyd’s daring acts of espionage were drawn to a halt when a beau gave her up to Union authorities in 1862. She was held in the Old Capitol Prison in Washington for a month, then released, but found herself in the hoosegow again shortly. Once again, she managed to be set free and traveled to England, where she married a Union officer. Boyd wasn’t the only female spy operating in Virginia. In the Confederate capital of Richmond, Elizabeth Van Lew, known as “Crazy Bet,” was providing the Union with intelligence while allowing her Confederate neighbors to consider her insane. Van Lew, born to a wealthy and prominent Richmond family, was educated by Quakers in Philadelphia. She returned to Richmond an avowed abolitionist, going so far as to convince her mother to free the family’s slaves. Her espionage activity began soon after the start of the war. To the distress of her neighbors, she openly supported the Union; soon she concentrated her efforts on aiding Federal prisoners at the Libby Prison, taking them food, books, and paper. Then she began smuggling information about Confederate activities from the prisoners to Union officers, including General Ulysses S. Grant. 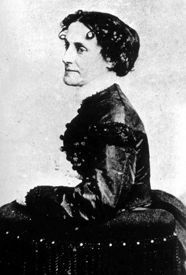 To hide her activities from her Confederate neighbors, Van Lew behaved oddly – dressing in old clothes, talking to herself, refusing to comb her hair – oddly enough that people began to think she was insane, and to call her “Crazy Bet.” Far from insane, Van Lew was hailed by Grant as the provider of some of the most important intelligence gathered during the war. © Steven Chabotte, August 2008. About the Author: Steven Chabotte is a Civil War history buff himself, writing numerous articles on the topic, as well as running two websites. Thank you, Steven! Slave power is arrogant, is jealous and intrusive, is cruel, is despotic, not only over the slave but, over the community, the state.